There isn’t anyone quite like Thomas – a 5-foot-8, mentally impenetrable warrior who stares down impossibility with a smile on his face – in today’s NBA. The following article is from the November issue of Mile High Sports Magazine. Subscribe here! The Denver Nuggets had an issue within their locker room last year; one that’s rather unusual in NBA circles. The voice that Malone is referring to is none other than Isaiah Thomas – the 5-foot-8 mentally impenetrable warrior who stares down impossibility with a smile on his face. There isn’t anyone quite like him in today’s NBA. Very few players carry confidence or bravado quite like Thomas does, and that perspective has become the foundation of who he is as a person. Malone is not just excited to have Thomas’ indomitable attitude in the locker room; he is encouraging it. 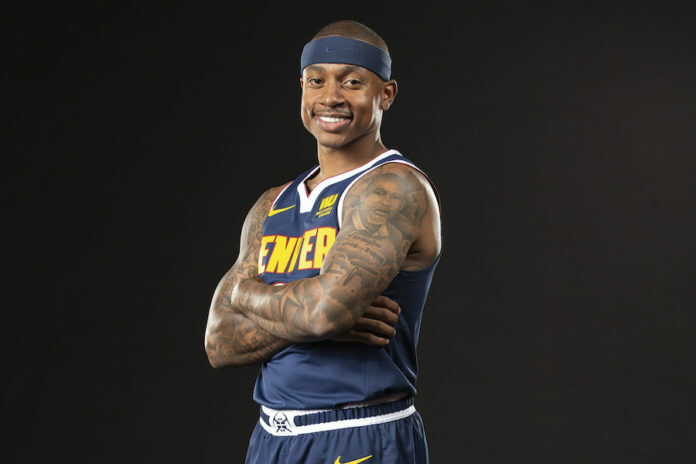 “I want Isaiah to be Isaiah,” Malone explained. Think about the personalities within Denver’s locker room. Gary Harris is as stoic and even-keeled as it gets. He would much rather let his play on the court speak for itself. Paul Millsap, the Nuggets’ veteran leader and $30-million-man, is similar to Harris. When he has something to say, he will say it, but he isn’t exactly a boisterous figure in the locker room. Nikola Jokic, while goofy and quick-witted, isn’t a locker-room enforcer by any means. Jamal Murray is still just 21 years old. Really, the only obviously extroverted member of the roster is Will Barton, but having just one individual who is getting his teammates excited and keeping the conversation going is sometimes not enough. This Nuggets team needs an edge about them – an edge that almost every great team in the NBA has. That’s where Thomas comes in. 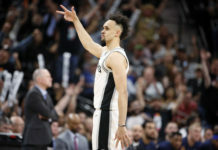 From the very first practice of training camp – a practice that he did not participate in, as he recovers from offseason hip surgery – Thomas was rambunctious, abrasive and energetic. Already, the Nuggets roster is seeing Thomas’ rowdy ways first hand. It doesn’t matter if Thomas is unable to play or is roasting his opponent in isolation from the top of the key. Thomas really can’t turn it off, and Jokic is already enjoying the theatrics. “He was pumping it up today. He did not work out, but he was on the sideline really pumped up. He was cheering and saying some words that I do not want to say,” Jokic said, laughing. 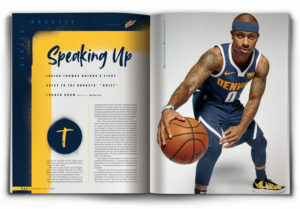 Profanity aside, Thomas is not just bringing a louder volume to the table, but also a higher level of education for young players, and the desire to share what he has learned with the rest of the Nuggets’ roster. It doesn’t matter if it is two-way contract player DeVaughn Akoon-Purcell or point guard of the future Jamal Murray – Thomas is talking with anyone and everyone in an attempt to hasten their growth as players. This was Malone’s plan all along. He knew that Thomas is as unique and rare as the Nuggets’ locker room issue was. 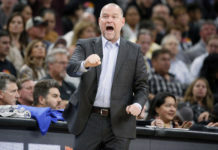 That is why Malone and Denver’s president of basketball operations, Tim Connelly, made the calculated decision to bring Thomas in, even though it could take time for him to return to game shape. 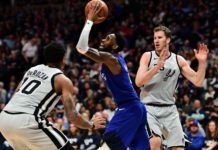 Thomas can provide the Nuggets with the fire and leadership they desire, but that is not all Thomas brings to the table. 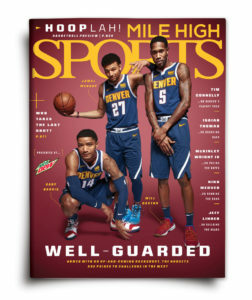 As soon as he is physically able, he will step in as Denver’s backup point guard, where he could eviscerate opposing bench units so long as he even returns to even 70 percent of his former self. Regardless, Thomas knows what he is in Denver to do: Whatever it takes to get the Denver Nuggets back to the playoffs. It has been five long years, and Thomas has intentions of ending that streak. “If you are a fan of basketball, you know what I bring to the table when I am healthy, and that is what you can expect,” Thomas explained. “I am going to try to bring excitement, energy. I can score the ball with the best of them, and I just want to help in any way possible. Whatever the coach, teammates or the organization needs me to do.